Some homeowners don’t put much stock in a custom backsplash, but we think it’s definitely worth considering for your own kitchen. It’s made to cover the wall that is exposed between your counters and cabinets, as well as the space behind your sink and your stove. It offers more functionality than you might think, although some people use them to create bold focal points as part of the room’s unique décor. Blending the two creates the perfect addition to your kitchen. About Floors n’ More has served the areas of Jacksonville, Atlantic Beach, Ponte Vedra Beach & Neptune Beach, FL for many years now. We strive to always exceed the expectations of our customers, by offering them honest service, quality products and an overall experience they’ll be happy to tell their friends about. We would love to do the same for you, and we invite you to visit us at our showroom in Jacksonville, FL, at your convenience. What makes a good backsplash? One of the most important facets of the perfect backsplash is whether or not it matches your countertop. For this reason, it’s important to pick your countertop first. While they may not match exactly, it’s important that the colors and overall design scheme don’t clash with one another. For instance, a dark granite countertop might not be best suited for a bright, colorful backsplash made of some other material. 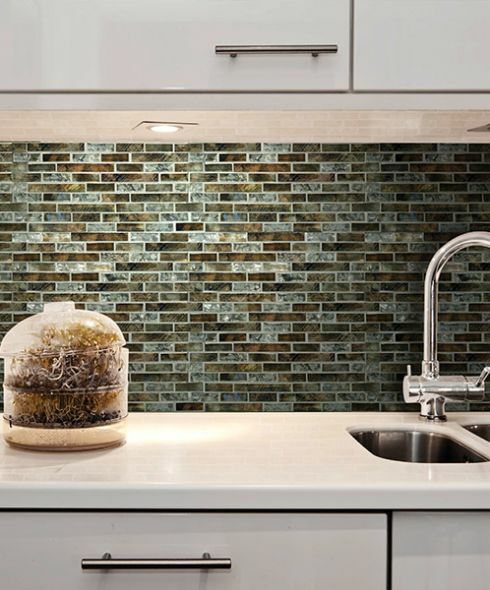 It’s also important to be mindful of your budget while choosing a backsplash. You might have fallen in love with the tile that costs $100 per square, but have you considered how many it will take to complete your project? Ironing out details like this can keep you focused and on point while shopping, so you don’t have to leave the showroom brokenhearted. Grout makes a difference too, and can be as much a part of the design scheme as the tile itself. You can even choose grout that comes in a variety of different colors, if matching and coordinating are big points on your list. Simple and elegant is another way to go, as opposed to outlining the tiles with a darker color, as some people do. As it turns out, size does matter. Some people still like the look of those teeny tiles, but there are more options these days. Larger tiles come in many sizes, with 4X4 and 6X6-inch sizes popular. However, those sizes go much larger.